We offe r a course, BIOL 4990, with varying number of credits that offers students the opportunity to join a researcher’s lab and participate actively in their research program. This course is a great way to obtain training in diverse research skills in biology from laboratory techniques to field sampling, understanding the scientific literature and writing scientific articles. 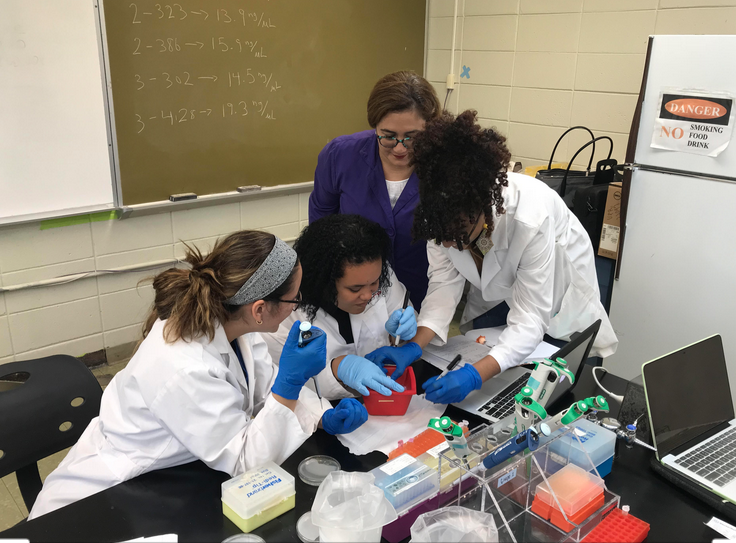 To get enrolled in the course you must first contact a researcher and obtain their permission to join their lab via Biol 4990. The Department office in NCN has the appropriate forms that need to be signed by the researcher before enrollment. In addition, there are many summer programs sponsored by National agencies like NSF and NIH, as well as universities and organizations that offer research opportunities and are usually very interested in our students. To apply check out their websites, and lookout for announcement on boards throughout our Department.